Mold is often associated with excessive moisture in the indoor environment. Water and musty odors must be addressed immediately. The source of the moisture must be stopped and corrected to prevent microbial growth from occurring. Mold can grow on any surface as long as moisture and a food source is present. Here at PuroClean Certified Restoration, we understand this principle and are able to assure you that the drying of the structure is performed properly. Once mold has established a foothold, however, there are guidelines or standards for the appropriate remediation of such growth. The EPA guide, “A Brief Guide to Mold, Moisture, and Your Home,” the NYC department of Health, “Guidelines on Assessment and Remediation of Fungi in Indoor Environments,” and the “IICRC S520” from the Institute of Inspection, Cleaning and Restoration Certification are the industry accepted guidelines or standards to follow for the proper remediation of mold. Our professional restoration specialists will have the necessary training and understanding of all of theses guidelines. Since the internet is now so accessible to the homeowners, a great deal of personal investigation is being performed. It is unfortunate that there is also a lot of misinformation regarding mold. Some of the information found “floating around” indicates that products are available for application that implies they will completely” destroy mold and prevent it from ever recurring! The average homeowner does not understand the complexities that are usually necessary for the proper remediation of mold. Many people think there is an all-inclusive product available for the application to mold that will result in its sudden removal. It is often thought by homeowners that bleach will kill mold; it will kill living mold if properly applied, but will not prevent immediate reappearance.) Effective biocides are also available but do pose a number of limitations in their use. The standards of mold remediation state that the application of biocides is not recommended in the restoration of a mold-damaged, indoor environment. Our restoration professionals know the correct techniques to promote rapid drying, and the proper steps to follow for mold remediation to be effective are the complete removal of contaminated materials in a controlled manner. Information can also be found stating that that the use of Ozone or Ultra Violet (UV) light will destroy mold. This is a myth. The fact is that the EPA conducted studies and concluded that Ozone cannot be generated in sufficient concentration to kill or suppress microbial growth on most structural materials. It also notes that if those necessary levels of Ozone were achieved, they would be harmful to all life, including humans! Ultra Violet light is not practical due to the inability to create enough intensity of the light or allow for a sufficient dwell time, both of which are essential for UV to affect microbial growth. Promises are also made by manufacturers that by applying certain encapsulants or sealants, mold can be avoided or prevented. According to the labels of these products prior to application, the surface must be clean and dry. New or continued moisture infiltration may result in failure of the product, and the result would be further growth of mold. The application of these products can also change the permeability of the materials and, may in fact, trap water that results from condensation. This could potentially cause further deterioration of the structural members as a result of this trapped moisture. Some information indicates there are ways to “control” the mold in the indoor environment that entail the use of very high heat drying. The building is subjected to hours of high heat in the range of 140 to 160+ degrees F. The claim is that this will kill not only the mold, but also their associated spores. The mold is then left in place and encapsulated. Even if this were true, the secondary damage as a result of the high heat could be astronomical. Wood furniture could be over dried causing checking and cracking. As a result, plastics could melt, and indoor houseplants may not be able to survive the high heat. The potential downfalls are endless, not to mention that the mold is still in the environment. It takes temperatures in excess of 212 degrees F to destroy mold spores; and even if the mold growth is stopped, any toxins are still present in the cellular structure of the mold material even though it is dead! There is also a mold resistant drywall available. It is designed and guaranteed by the manufacturer to inhibit the growth of mold if installed according to their instructions. Their instructions include the following cautions: avoid high heat (not fire-rated); avoid exposure to excessive or continuous moisture; it is not for use in high moisture areas; and the drywall is non-load bearing. The new mold resistant drywall does replace the paper facings and backings with other material that is not a food source for the mold. The problem is that mold will grow on anything as long as the right conditions exist; therefore, the mold could easily grow in dust or dirt that is on the new material. Moisture causes these conditions. Mold resistant does not mean mold proof. Our professional restoration specialists know when mold is active in an indoor environment, a homeowner has three options, all with different risk levels. The first option having the highest risk level is to do nothing-ignore it. The second option is to dilute the problem. This may involve a partial remediation or a removal process that does not adequately protect the environment or the individuals in it. The third and safest solution is for the homeowner to hire PuroClean Certified Restoration because we possess the training and skill to remediate the structure appropriately, while protecting the unaffected areas of the home and occupants during the remediation process. 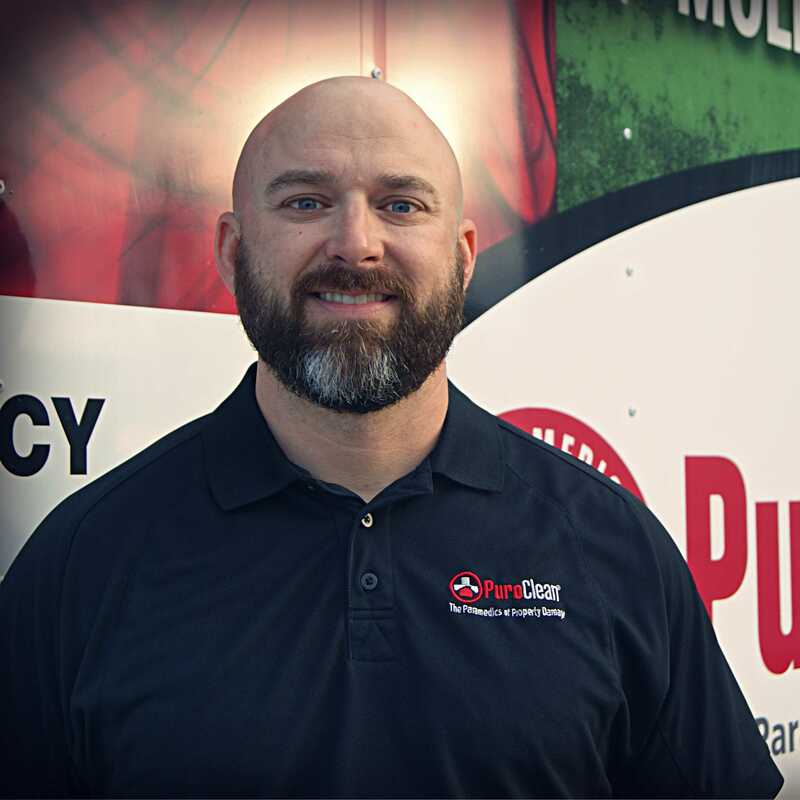 If you have any questions regarding PuroClean Certified Restoration’s mold remediation cost, please call us and we will have one of our specialists answer any and all questions you may have.